Portland Craft Beer: 2015 Cascade Tart Fruit Fest Lineup Announced. 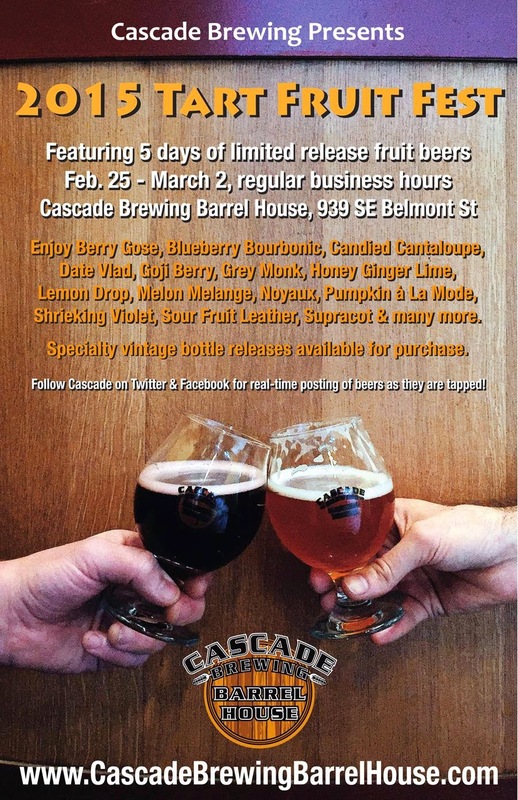 Cascade Brewing, a pioneer of the Northwest style sour beer movement, has announced the dates and lineup of its annual Tart Fruit Fest. This year’s event will launch on Feb. 25 and run throughMarch 2 during regular business hours at the Cascade Brewing Barrel House, 939 SE Belmont St.